A few years ago, Renea Molden’s doctors told her they wanted to take her off her opioid pills. It did not sound like good idea to her. “I was mad, I’ll be honest. I was mad. I was frustrated,” said Molden, 40, of Kansas City, Mo. She struggles with fibromyalgia, bulging discs and degenerative disc disease. Her doctors were concerned about her potentially taking hydrocodone for the rest of her life, but to her, the three pills she took each day seemed to be the only way she could make it through work, go shopping or even fix dinner. “It felt like they were taking a part of my life away from me,” she said. For many people with chronic pain, opioids can seem like the difference between a full life or one lived in agony. Over the past few decades, they have become go-to drugs for acute pain, but Dr. Erin Krebs, with the Minneapolis Veterans Affairs Health Care System and the University of Minnesota, said research about the effectiveness of opioids for chronic pain was lacking. Even though millions of people take the drugs for long periods of time, there is little evidence to support that use. But that’s changing. Krebs is the lead author of a new study that looks at the effectiveness of opioids for treating chronic pain over 12 months published Tuesday in the Journal of the American Medical Association. The study involved 240 veterans with chronic back pain or osteoarthritis of the knee or hip who had pain that was ongoing and intense. 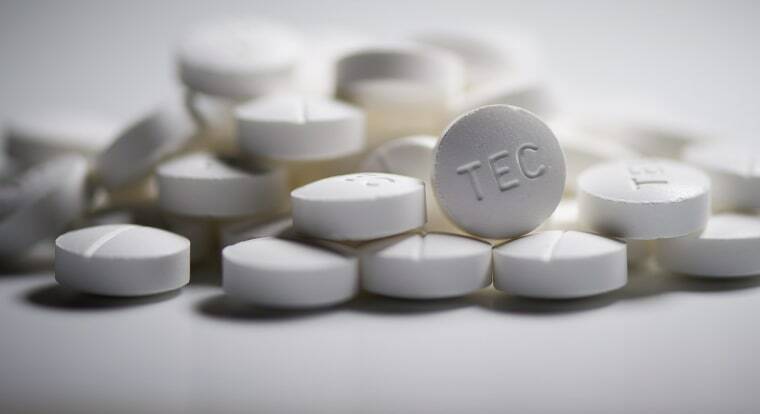 Half were treated with opioids and half with non-opioid medications — either common over-the-counter drugs like acetaminophen or naproxen, or prescription drugs like topical lidocaine or meloxicam. Doctors and patients knew what group they were in, said Krebs, and that was deliberate because people’s expectations can influence how they feel. The study didn’t explore why, but Krebs has a theory: opioid tolerance. “Within a few weeks or months of taking an opioid on a daily basis, your body gets used to that level of opioid, and you need more and more to get the same level of effect,” she said. Opioids, of course, also carry the risk of dependence, addiction and overdose. Coming off of opioids gives patients who have developed a dependence flu-like symptoms that can last for days or weeks. But what about patients like Molden who had already been using opioids for a long time? Dr. Muhammed Farhan, medical director of the University of Missouri-Kansas City’s multidisciplinary pain management program, said diplomatic conversations with patients like Molden are part of his daily routine. Farhan also is the medical director of the University Health Pain Management Clinic at Truman Medical Centers, which doesn’t prescribe opioids. He said he meets patients every day with problems like back pain who’ve reached the end of the line with the drugs. “Most of the time what I see is that they are taking high doses of opioids and that they are in bed all the time or sleeping and still in pain,” he said. Farhan said he starts by helping them adjust to the idea that they cannot eliminate pain entirely. He said this expectation can be especially dangerous for people who rely on increasing doses of opioids. “Our idea of being completely pain-free can lead us to a place when they end up with more pain, no improvement in their quality of life after being on high doses of opioid medications, which can be harmful to the point that they may die,” Farhan said. He said he tries to help his patients taper off opioids slowly and use alternative drugs and therapies. Krebs agrees with this approach. “Medications have some role, but they really shouldn’t be the primary way we are treating chronic pain,” she said. “For osteoarthritis pain, the strongly recommended treatments are exercise treatments,” she said, and it’s important to maintain a healthy weight. “The same thing goes for back pain,” she said, where experts recommend exercise, rehabilitation treatments, yoga and cognitive therapies, among others. Renea Molden said it’s been hard to leave hydrocodone behind, but she’s working at it. “I know if I can just get through that day — there’s good days and there’s bad days, and you just kind of have to make it through the bad days,” she said. But even on the worst days, Molden feels good that she’s facing her pain without opioids. This story was written by Alex Smith and is part of a reporting partnership with NPR, KCUR and Kaiser Health News.